Unlike similar solutions, which require you to write special code for each different list type you have or add a special markup to your classes, Otter List requires no changes to your code whatsoever. Just drop it into your project and any list view in any inspector will let you resize, insert, delete, and re-order the elements it contains. Simple user interface: just click and drag to move an element from one position to another, or click the +/- icons by an entry to remove or delete an item. Easy install: This is a purely an editor extension DLL. No code changes required. Missing object references in any inspector panel are highlighted in red with the text “Missing”. Keep public variables from being inspectable. By using our advanced UxInspector markup, you can use public/private in your classes independently of being editable in the inspector. i am interested in Otter List asset. 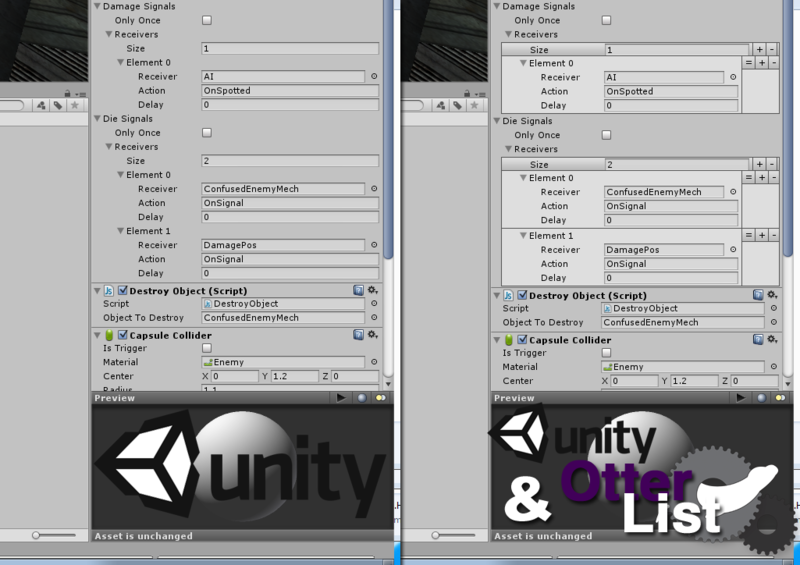 Does it work with unity’s tag manager?